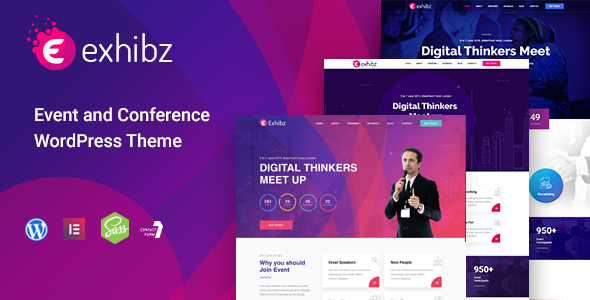 Exhibz is a Creative and Modern Event, Conference WordPress theme for organizing meeting, seminar, conference, venue or any other kind of event. It comes with Drag and Drop Elementor Builder so you can easily customize everything you need. The theme also comes with twitter bootstrap 4, 2 Home Variations, Beautiful Schedule Tab, Speaker List, Feature rich pages and more.